This entry was posted on January 15, 2019 by Rob Storrar. 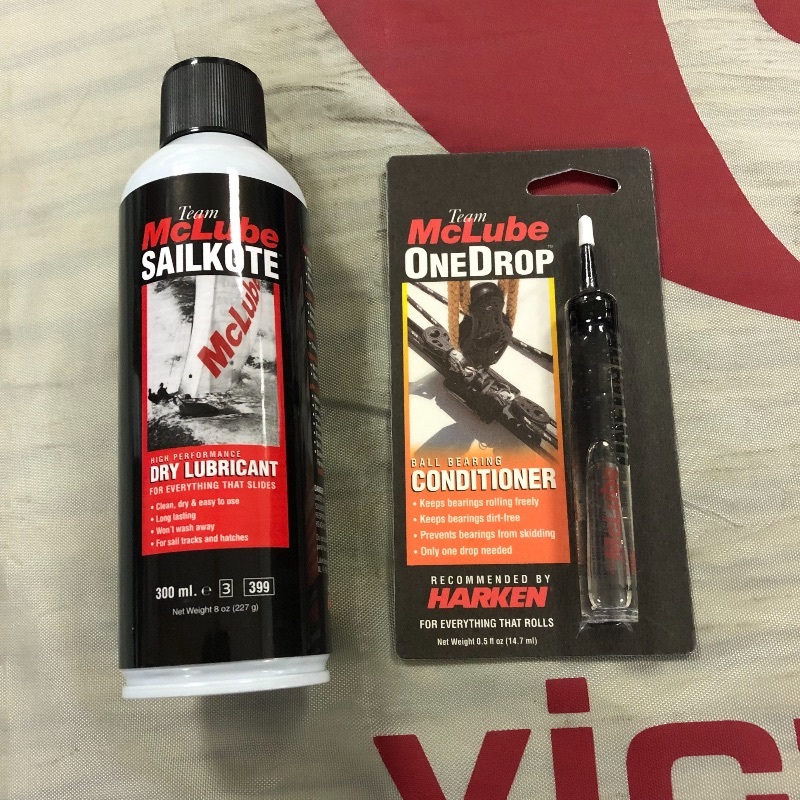 Not the cheapest, however Team Mclube Sailkote dry film non staining product is in my/our riggers opinion the best high performance lubricant available in the marine market. As it says on the tin 'for everything that slides'. It's clean, dry and easy to use. It's long lasting, won't wash out and it repels water, dirt, salt and other contaminants. An essential product for a yachtsman or power boat enthusiast's tool kit. For ball bearing blocks, travellers etc Team Mclube One Drop is a superb ball bearing conditioner, only one drop is needed to keep bearings rolling freely, it helps kees them dirt-free and it stop bearings from skidding! I used it on an elderly Oyster mast which had Harken cars at the inboard ends of the batten pockets and the results were dramatic. 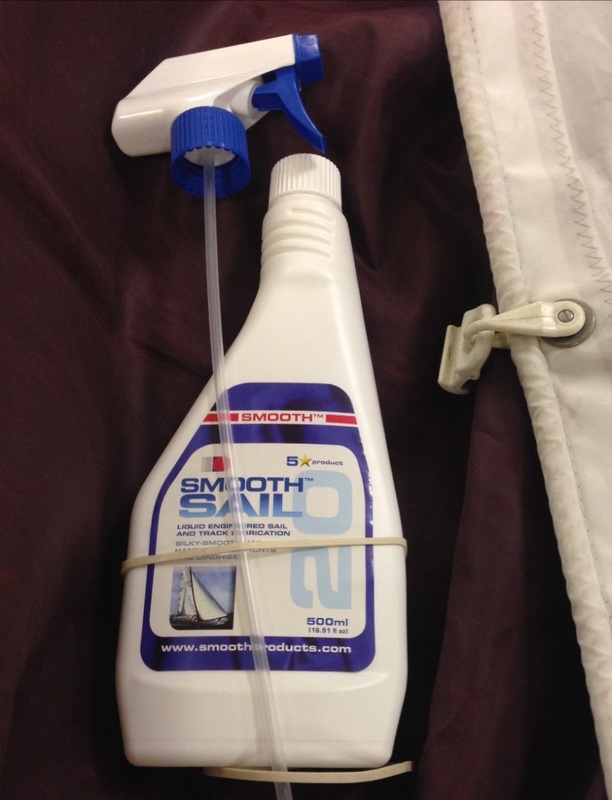 Smooth Sail is a liquid engineered sail and track lubrication. It's great value and comes in a 500ml trigger spray container. It is environmentally friendly with no aerosol propellants, solvents or toxic chemicals. Use for fast and easy sail hoists, mainsail slides run freely and for those racers that change headsail, seconds can be found with quicker sail changes. Drops and reefing are faster and smoother through reduced friction. A great product to keep in your boat's tool kit. 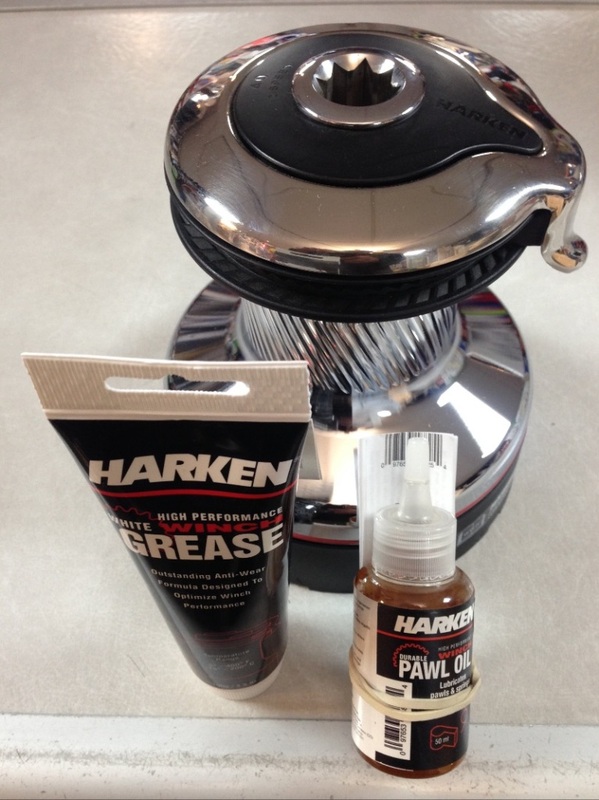 Harken Grease is a high performance white grease. It's formula is designed so as to optimise winch performance and it has outstanding anti-wear properties. If your self tailing or standard winches are manufactured by Harken, for service information go online to www.harken.com, likewise respectively for Andersen or Lewmar. Word of warning however, never ever use grease on the pawls! Pawl oil whatever the make is the correct lubricant and please only a tiny amount, its purpose is to lubricate pawls and springs to improve rotation. 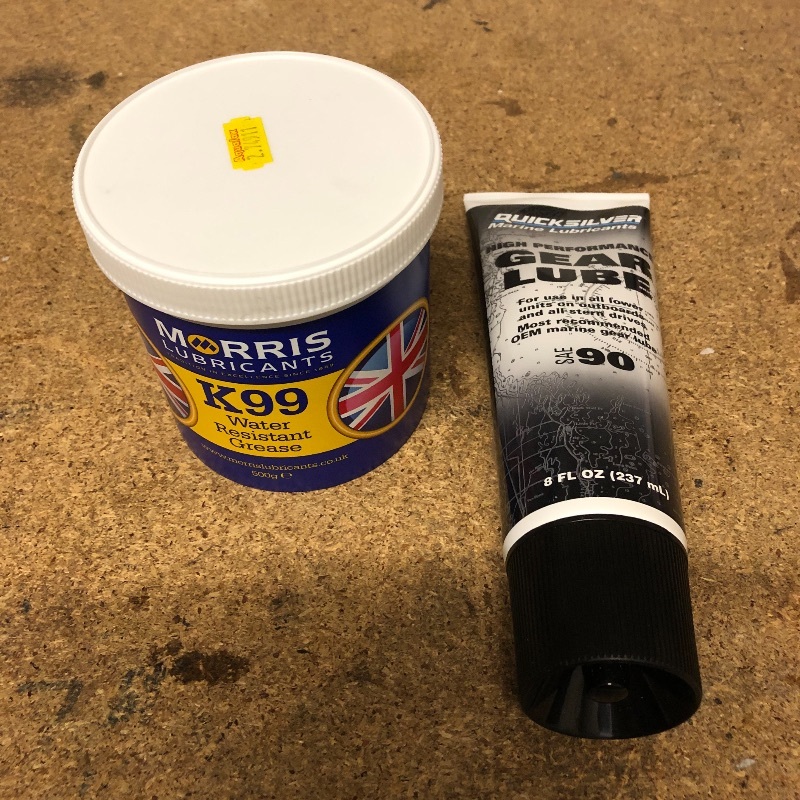 K99 is not a dog food but an economical water resistant grease perfect for those boats that have conventional stern tubes. Other uses include trailer hubs/wheel bearing lubrication for units that are subject to immersion. It can also be using as a general purpose lubricant around the house and garage. Sold in a 500gm tub the contents can be easily dispensed into a grease gun If required. Quicksilver High Performance Gearlube is for use on on all lower units on outboards and all stern drives. It's the most recommended OEM marine gear lube on the market. It provides proper corrosion protection and lubrication for marine gear cases not found in automotive based products. This gear lube of course provides maximum protection against water intrusion. It's sold in any easily dispensed tube containing 8fl oz. 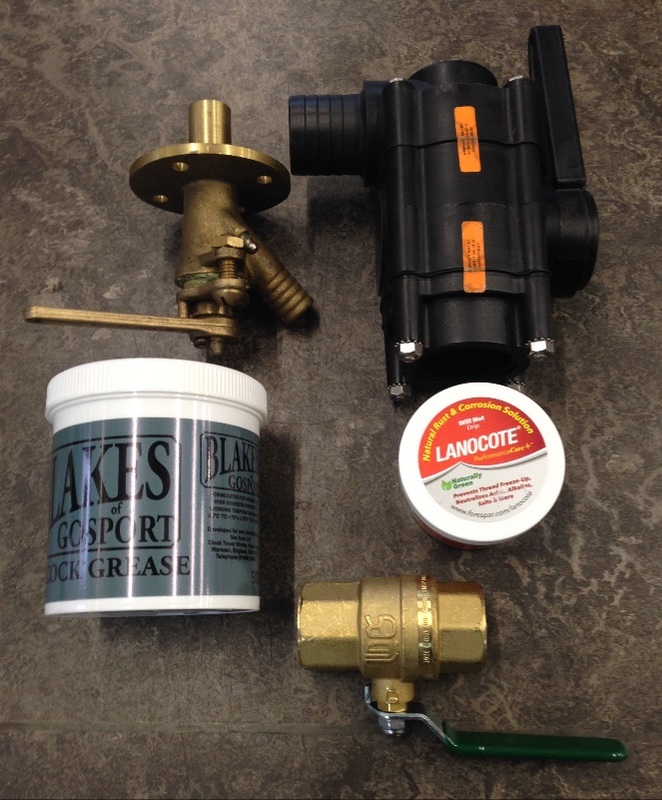 Blakes Seacock grease is a superb water resistant grease which is not only our recommended lubricant for this particular make of quality valve but all metal seacocks be they manufactured from brass, DZR or bronze. For the Lloyds approved Marelon valves the grease to use for lubrication is Lanocote. As well as insuring your composite valves operate freely it's a great product to prevent thread 'freeze up' on rigging screws. By using Lanocote as a barrier between dissimilar metals it will help prevent electrolysis and as a sealer its great for porous surfaces, perhaps sealing an elongated stitch hole in a sprayhood? 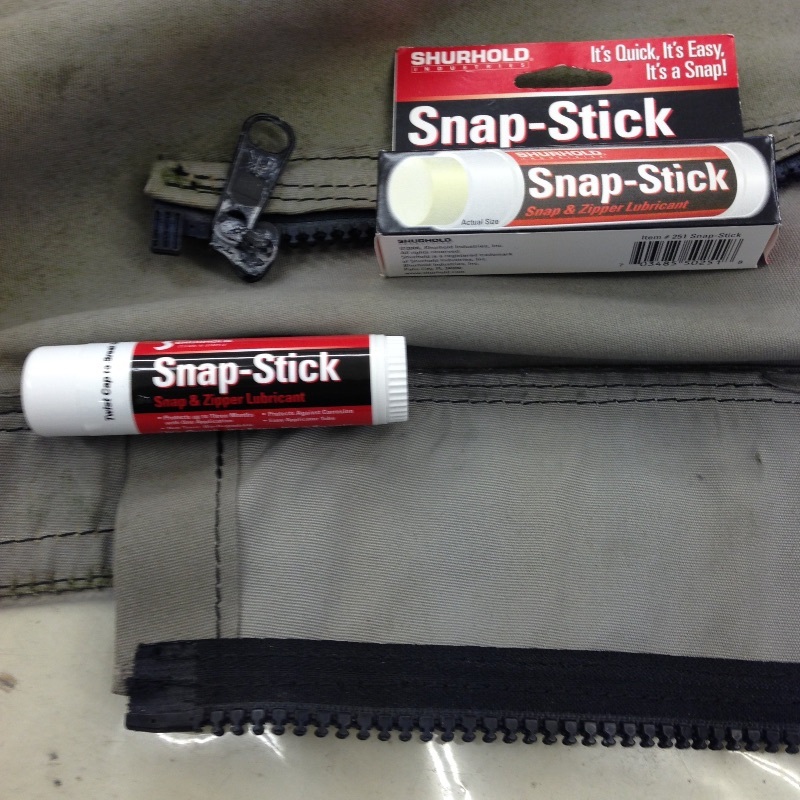 Snap stick is the perfect easy to dispense lubricant for applying to zips on sprayhood and cockpit canopies (especially useful where the zip is subject to straining such as going round a sharp curve). It's great for both plastic and metal zippers, snap fastenings, slides and locks on canvas. Snap Stick protects for up to three months in one application, it's non toxic, bio-degradable and of course it protects against corrosion. 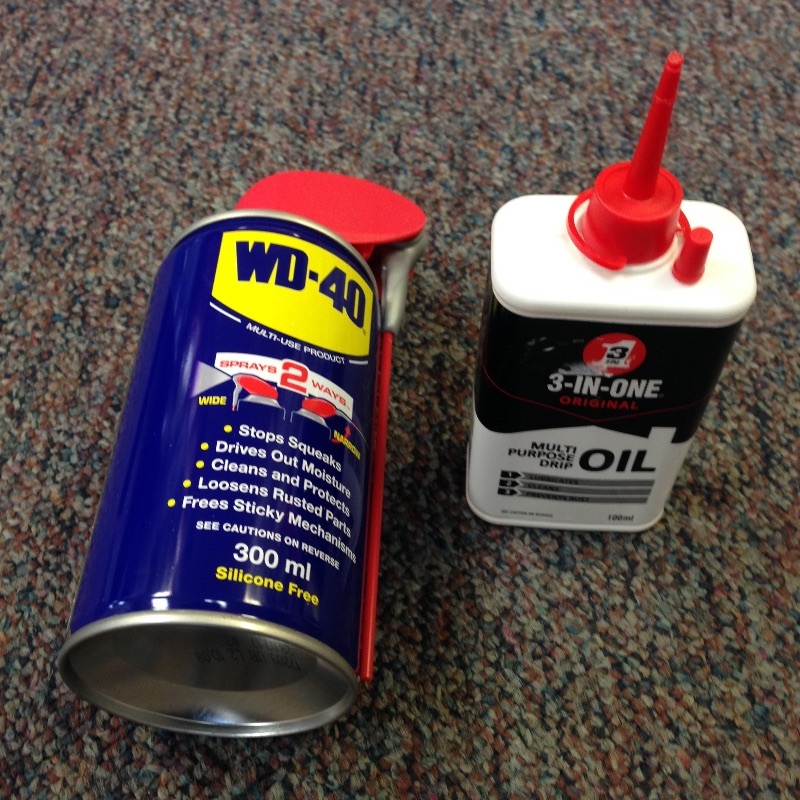 A couple of 'old favourite' lubricants that are found in most tool kits are WD 40 & 3 in 1 oil. In case you have forgotten WD-40 is an excellent cleaner as well as a protector. Perfect for loosening rusted parts and of course tackling that annoying squeak, banish it with a little squirt and sleep easier at night 3 in 1 oil, described on the container as a toolkit in a can, has hundreds of uses. It's a specially formulated lubricant with a spout applicator for precision. Handy to know for that sailing club 'pub quiz' is that its manufactured for the guys at the WD-40 company! Having read through all that why not go off and enjoy that well earned drink, cheers!